A Diabetes Medscheck is an in-pharmacy service which aims to enhance quality use of medicines for patients with diabetes and reduce the number of adverse drug events experienced by users of medication. A Diabetes Medscheck is a free* one-on-one consultation with your pharmacist, to give you better understanding of your medicines and to ensure your medicines and monitoring equipment and devices are working effectively for you. This medication use review focuses on education and self-management, and aims to identify – and fix – problems that you may be experiencing with your medicines or the management of your diabetes. 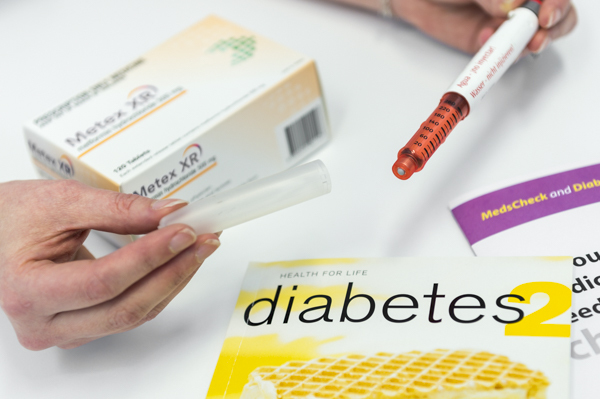 A Diabetes Medscheck service is available in the pharmacy and takes about half an hour. An appointment is normally required. * In many cases the cost of the service will be fully funded by the Government (conditions apply).